West Seattle Dog House Daycare is owned and operated by a certified veterinary technician so that you can feel at ease leaving your dog in capable hands in the unlikely case of an emergency. Is your furry child a bundle of energy when you return home from a long day at work? Most dogs require 3 miles of exercise a day. Living in Seattle, it is not always desirable to go on a long walk in the dark when it’s raining. Lack of exercise for your dog may transfer into destructive behavior problems to release that saved up energy. If your dog attends West Seattle Dog House Daycare, he/she would get plenty of exercise while interacting with other dogs and the staff. It is very important for your dog to interact with other dogs & humans outside their own family/pack. Not getting proper socialization could lead to aggressive behavior down the road. This can pose a problem for many reasons. Seattle currently has very strict laws on aggressive behavior. A dog that exhibits apparently vicious behavior more than once can be classified as dangerous. In Seattle, dangerous dogs are either terminated or sent out of state. Attending West Seattle Dog House Daycare, your furry child can brush up on his/her socializing skills with other dogs & humans. At West Seattle Dog House Daycare behavior problems such as digging, jumping up, excessive barking and housebreaking issues are not allowed. Constant reminders of these problems in Daycare will reflect on similar situations at home. Dogs are not solitary creatures and most often would rather be around other dogs & people than home alone. 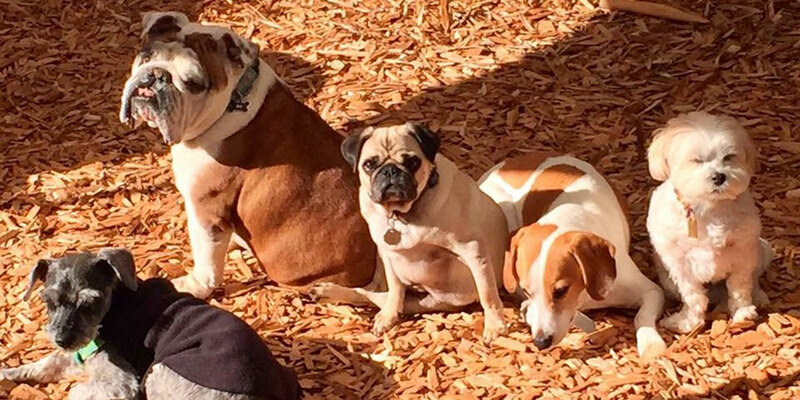 West Seattle Dog House Daycare ensures that your furry child will get plenty of love & attention throughout the day.